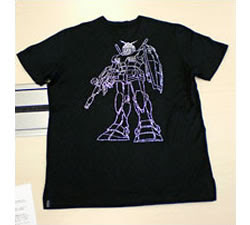 A Rinkya Blog: Gundam Invades the Fashion World! Gundam went platnium, also has modeled in wood, and has his own amusement park ride - but it was not enough for the anime robot. Another, less expensive version will use glass beads instead of Swarovski crystals for about 38000 yen.